We’re so glad you’re interested in subscribing to SchneiderPeeps. Each week we publish posts that are full of simple living tips and encouragement. We also offer our subscribers free ebooks and printables. You can see a sampling of those freebies below. To subscribe just fill in the form below. 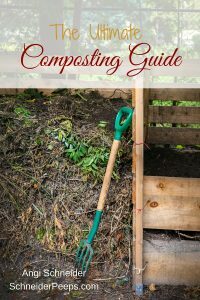 Ten Herbs – From Garden to Plate is a fun ebook that I wrote with The 104 Homestead, Homespun Seasonal Living, Joybilee Farms and Homestead Lady. 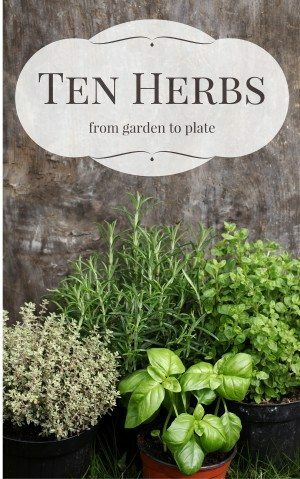 In it you will find growing, harvesting and preserving tips for 10 easy to grow herbs that no home should be without. There is also a recipe that highlights each herb. I promise, you’re going to love this little ebook. 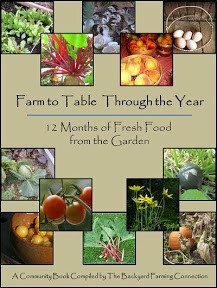 This is a collaboration of 12 different authors to take you through a journey of eating fresh food through the year. I’m honored to be one of the authors. Farm to Table’s goal is to encourage you to to try different things including growing veggies that you may not have even heard of, like ground cherries, or raising hens or canning your harvest or produce from the farmer’s market. There’s encouragement to start where you are and do what makes sense for your family. One thing that you won’t find in Farm to Table is condemnation. I really love that. Even though all of the contributors are passionate about what they are each doing, nowhere in the book does the message come across that you or everyone should be doing exactly the same thing. So if you’ve struggled with feeling like “all natural” eating needs to be all or nothing, I hope this book will help you just begin the journey. Are you wanting to teach a child to sew but don’t know how to begin? 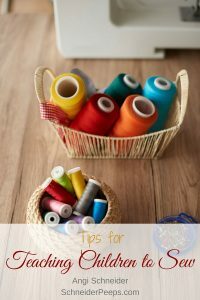 These tips will give you some practical ideas of how to teach a child to sew without feeling stressed out. Not sure if you should compost an item? Just print up this handy reference sheet and put it in your gardening notebook to help you remember. 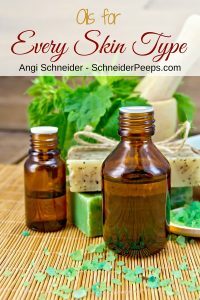 Ever wonder what essential oils and base oils are good for different skin types? Download this handy guide to use when making your own skin care products. You can print it up and put it in your Wellness Notebook for easy reference. Do you ever wonder if you can safely can something in a water bath canner or if you need to pressure can something? 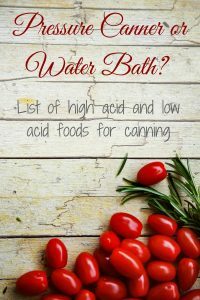 This handy cheat sheet lists common foods and categorizes them as low acid (needs to be pressure canned) or high acids (can be water bath canned). With over 7000 varieties of apples, choosing just the right one can be overwhelming. 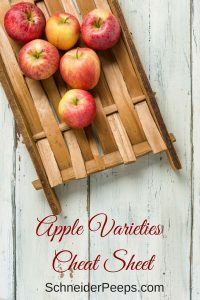 This cheat sheet categorizes the most popular apple varieties by taste and texture so you can choose the perfect apple every time. 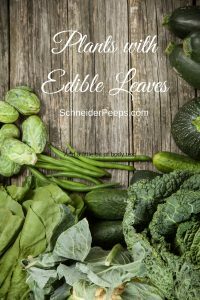 Many vegetables have secondary edible parts – edible parts that they aren’t normally grown for – usually it’s the leaves. Learning to use the secondary parts is great way to reduce waste and your grocery bill. Print this handy list so you’ll know what leaves are edible. As an email subscriber, you’ll receive a 15% discount on anything you order from our Etsy shop.